Sharvari is the first standalone novella in the Royal Romance Collection. The story is set in ancient India and mirrors the dynamics of that era. Betrayed in love and war, Sharvari makes one final attempt to save her people by offering herself to the victorious rival King of Sindh, Brihadrath. The handsome king gives her a hope of a new start. But life at her new home is ridden with challenges. While she is coping up with a slew of palace intrigues and assassination attempts, the man from her past haunts her. Can Sharvari overcome the hurdles and find love again? 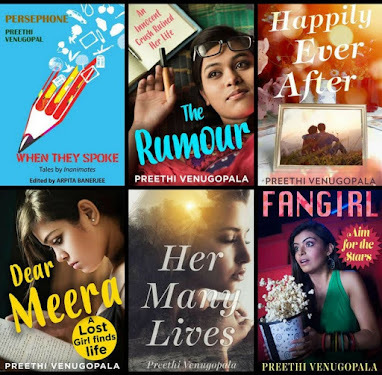 If you love intriguing stories of steamy romance with a guaranteed HEA, do download and read this one! “Move!” The goad hit her shoulder. She heard another soldier forbid the first one from hitting her again. It did not matter. She had grown numb to the pain. The second soldier caught hold of her bound hands and yanked her back to her feet. Many pairs of eyes stared upon her dusky hued limbs, a feast to eyes, for the wolf skin tunic that had made for the most of her clothing had been cast off long before. Save for the ragged jute that covered her breasts and her loins, her youth was on a display. Modesty was the last of things on her mind as her legs gathered whatever strength they could to walk in to the court. Her lips quivered at an odd lewd word she heard while walking ahead, the ropes still pulling at her hands. But her eyes stayed fixed on the ground, on the marble flooring of the court hall, on the art that adorned the floor, on the flowery carpet that covered the stairs to the throne seat and on to the feet that wore the intricately carved sandals. Sharvari felt her limbs go numb. With an effort, she lifted her gaze to sight the blue silken Dhoti held in place by an ornate golden waistband. She then saw the garland of flowers around his neck, a whiff of their fragrance swept till where she stood. Strings of precious gems shone in the sunlight. King Brihadrath knew to groom himself! Or at least he knew what it took to impress a woman at the first sight. Is what I heard about him correct? She prayed it was. As disgusting as the idea was, that was the only way she could save them all. Her eyes met his. Sharvari saw them widen for a second before his lips parted as he signalled to the general to come closer. The forbidding frown that momentarily passed on his forehead locked her gaze upon his face. Sharvari thought fast. She was ready for this. At least she thought she was. 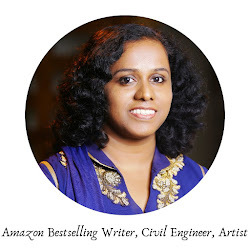 Ashvini is a management professional turned story teller. 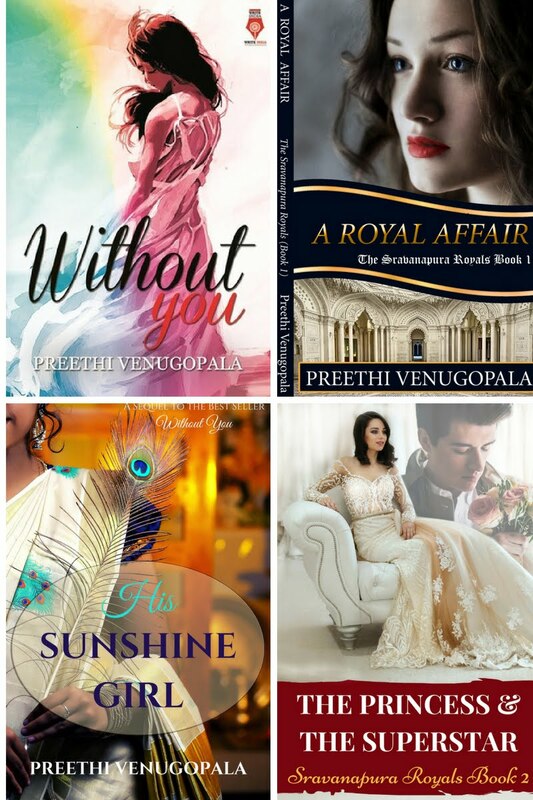 She loves to dream history and weaves romantic fantasies set in ancient India. She lives in Bangalore with her husband and daughter. 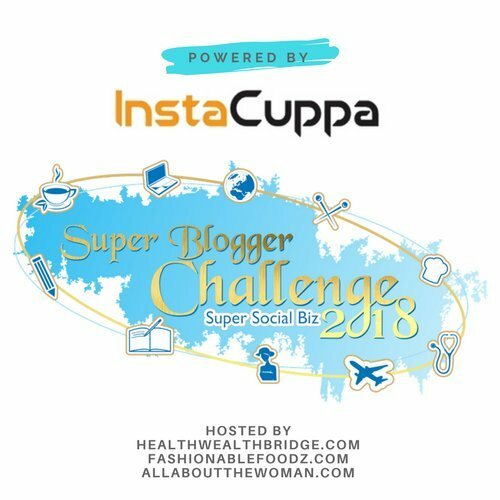 This is written for the #SuperBloggerChallenge2018 #Instacuppa hosted by HealthWealthBridge.com, FashionableFoodz.com and AllAboutTheWoman.com. The challenge is from 15 Feb – 26 April 2018.